This indeed is a good one, and should make all Nigerians who have ever enjoyed any of his songs happy! 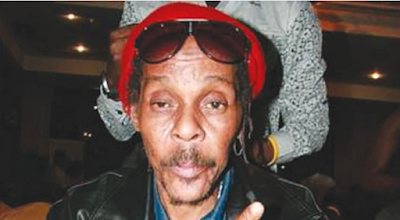 Majek Fashek has HEALED. Recall that in most of his interviews, it was either he wasn’t answering the questions correctly or boasting about things he never had bla bla.But in this new interview with TOFARATI IGE, Majek spoke like a right-thinking human. We are so delighted about this. We thank God for his life. Do you still have plans to sue Timi Dakolo over copyright infringement of one of your songs? That issue is pending for now. I spoke with Timi personally and I don’t want to go into that anymore. I don’t want to stop young people from growing. He is a nice boy who is still growing and I have decided to leave him alone. Personally, I like him. I think he is a God-fearing person but he was played and duped by some people. Timi even told us that he paid those guys extra and I was not aware of all the transactions. However, it’s important for Timi and other artistes to learn the lesson that they have to go through proper channels when they want to do things like this. What’s your relationship with your family members now? I still spoke with my first son, Randy, this morning and he is doing very well in America. My second son, Destiny, is also doing well. My last born is still a teenager and he is doing very well in school. My first son is married to a Japanese lady while the second is married to a Spaniard and they’re all doing great with children. I’m a proud grandfather.